Good to hear from you John. I’ll have to try it. Thanks! 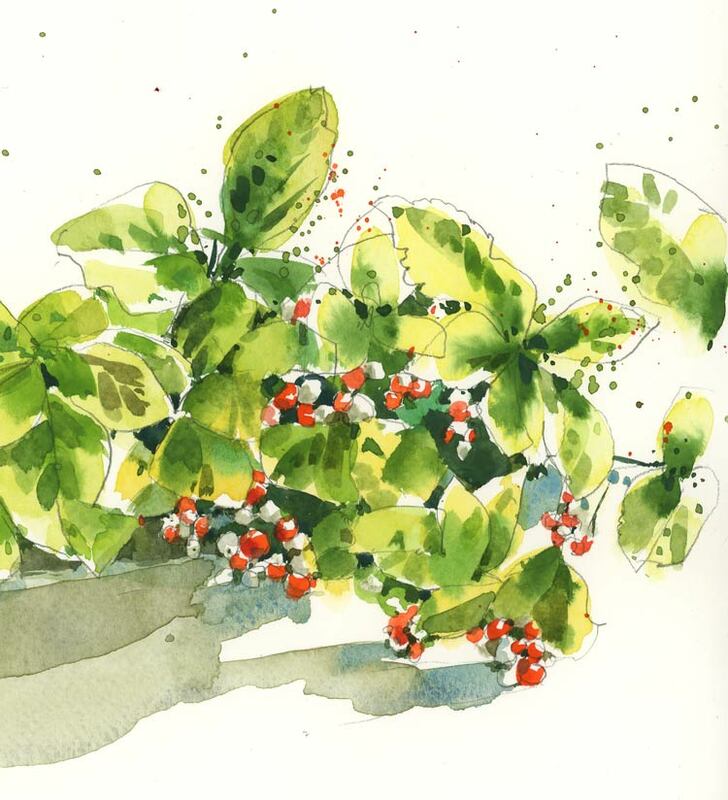 its also known as wintergreen …an oil can be distilled from it as a topical pain reliever – but DON’T drink that! Looks like a good plant for decorating at holiday time. Just enough detail in just the right spots! Thanks Peter. I was trying some new colour mixes and didn’t want to get too detailed so I appreciate your comment.